Here is my sonnet for Saint Patrick’s day. It is in my anthology Word in the Wilderness and is also collected in Parable and Paradox but here it is for the day itself. This particular poem was prompted by my good friend Steve Bell who was writing a fascinating book on the seasons called The Pilgrim Year and who wanted me to write something for St. Patrick’s day. I can strongly commend Steve’s ebook! 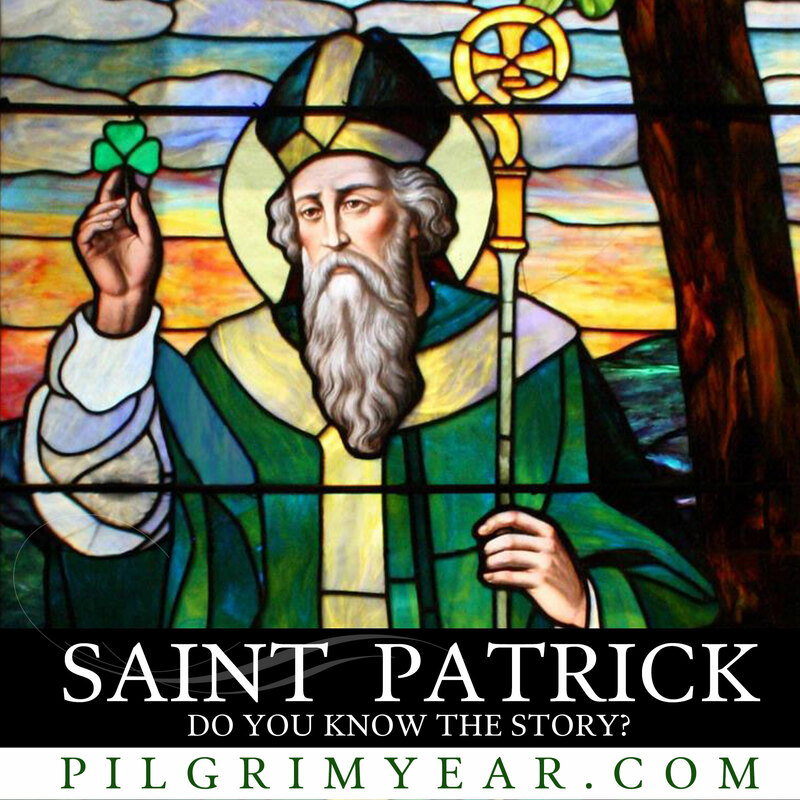 While Patrick is of course primarily associated with Ireland where he flourished as a missionary in the second half of the fifth century, he was not Irish to begin with. He seems to have been a shepherd on the mainland of Great Britain and was in fact captured there, at the age of sixteen, by raiding pirates and taken across the sea to Ireland where he was sold as a slave. He was six years in captivity before he finally made his escape and returned to Britain. And this is where the story takes a truly extraordinary turn. While he was enslaved in Ireland, working as a shepherd for his masters, Patrick became a Christian and when, having made good his escape, he returned home he had a vision in which a man gave him a letter headed ‘The Voice of Ireland’, a letter urging him to go back to the very place from which he had escaped and bring the Gospel to his former captors! That Patrick obeyed such a vision seems to me a greater miracle than any of the others subsequently attributed to him, and it is on this return that my sonnet turns. That capacity to return, face and forgive former oppressors or enemies seems a particularly vital gift for Ireland’s patron to bestow. As well as alluding briefly to ‘St. Patrick’s Breastplate’, my sonnet also touches on the story that wherever Patrick planted his staff to pray, it blossomed. The story of the blossoming staff was also told about St Aldhelm, and Bishopstrow (originally Bishop’s treow, Anglo-Saxon for tree) was named after the story that St Aldhelm planted his staff there and it blossomed. This is also the story of the Glastonbury Thorn, that it was Joseph of Arimathea’s staff that blossomed. Thank you for a beautifully written comment, Yewtree. I appreciate the historical notes; the etymology was a bonus! Thank you, Malcom, for this beautiful Saint Patrick’s Day blessing. As the granddaughter of Irish immigrants, I have always celebrated this feast day. The Breastplate is among my favorite prayers and hymns; your second stanza will become another. Your work is a blessing. A powerful poem for St Patrick from Malcolm Guite. Enjoy while you wear green and drink your Guinness today!